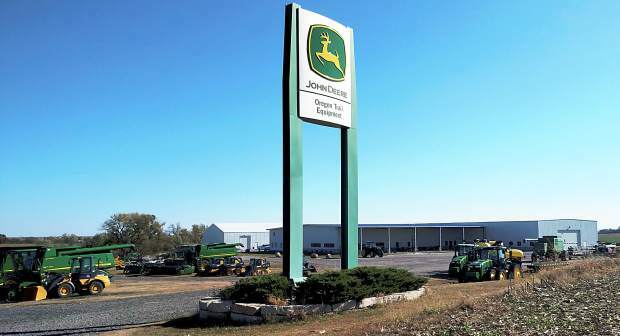 Two longtime family-owned Nebraska and Kansas John Deere farm implement dealerships launched a major merger Jan. 1. The merger between Oregon Trail Equipment and LandMark Implement Inc., brings together a total 17 farm implement locations across the two states under the LandMark name. Oregon Trail’s seven locations, in Marysville, Kan., and Beatrice, Fairfield, Hastings, Hebron, Superior and Red Cloud, Neb., are now LandMark Implement dealerships, as well as the original LandMark’s Nebraska locations in Holdrege, Arapahoe, Elwood, Kearney, Minden, Shelton, Lexington and Gothenberg and two Kansas dealerships in Phillipsburg and Smith Center. Rick Bennett, who’s been Kongs’ Oregon Trail business partner since 2003, said he is retiring and his two sons are buying his interest in the business. Bennett assured customers that while the company’s name has changed, most of the people whom customers deal with daily, from the parts department to the sales team, won’t change. Kongs will still be involved with the organization. Though the name above the door will officially say LandMark, many other things will remain the same, Bennett said.